[Free Pattern] This Lacy Crocheted Sleeveless Top Is Gorgeous! This is an elegant and stunning pattern you can use to create a stunning afghan. 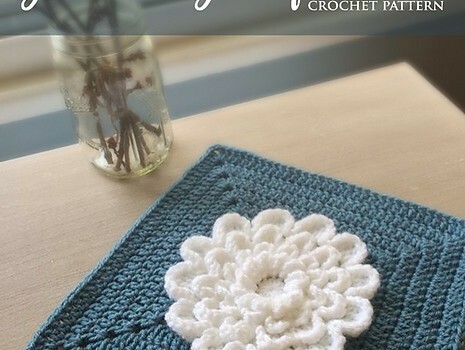 The NeverEnding Wildflower 12″ Square by Little Monkeys Crochet is fun to make and it’s a really lovely square. Of course the 3D flower is really the “star” of the square and interesting enough, the flower is literally part of the square (it isn’t sewn on after). If you want only the pattern for the flower, you’ll find it on the next page. For more details about The NeverEnding Wildflower pattern, please go to the next page.